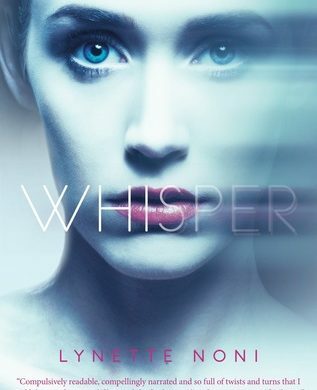 Have you ever heard a book described as “crisp?” For some reason, that’s the adjective that first comes to mind when I think of Whisper by Lynette Noni. 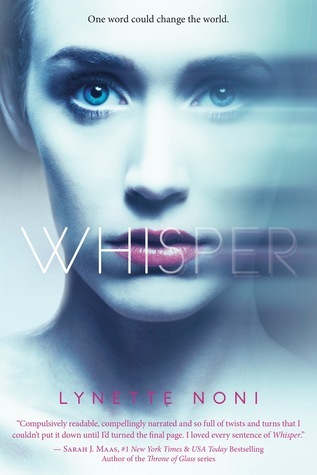 It’s suspenseful and a little bit scary, not fast-paced enough to be called “brisk,” but nail-biting and tense, with a narrative style that moves you quickly through the story. 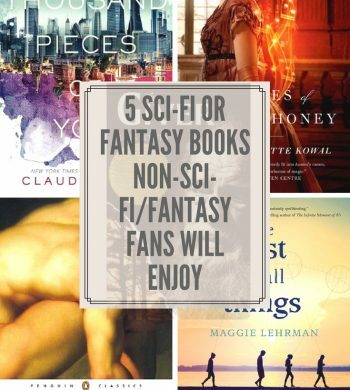 I recommend it for fans of suspense, fantasy, and science fiction books, as it has elements that will definitely satisfy all of those groups. 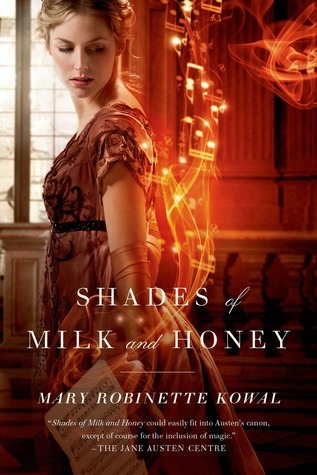 You can get it on Kindle for $3.99. Very much worth it. As mentioned, anyone who likes suspense or sci-fi. 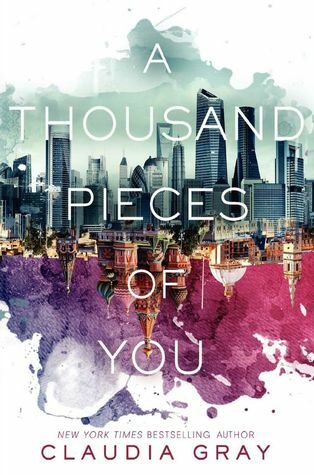 It reminded me strongly of Shatter Me, by Tahereh Mafi, since it starts off almost exactly the same way. 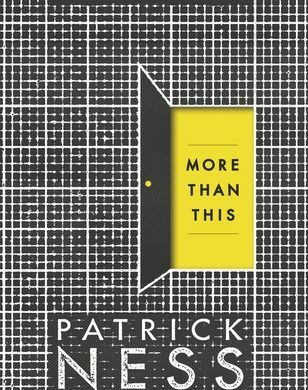 More Than This, by Patrick Ness, is an interesting book. 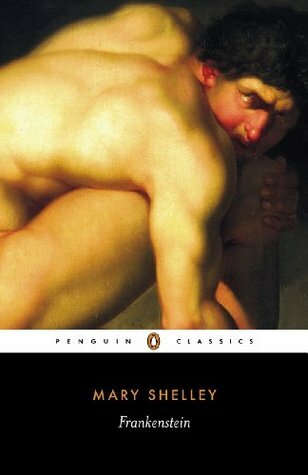 Indeed, by its title, you would think that there was more to the book than what it appears to be about. Or you might think that the main character would be seeking something more than the life he or she has been given. 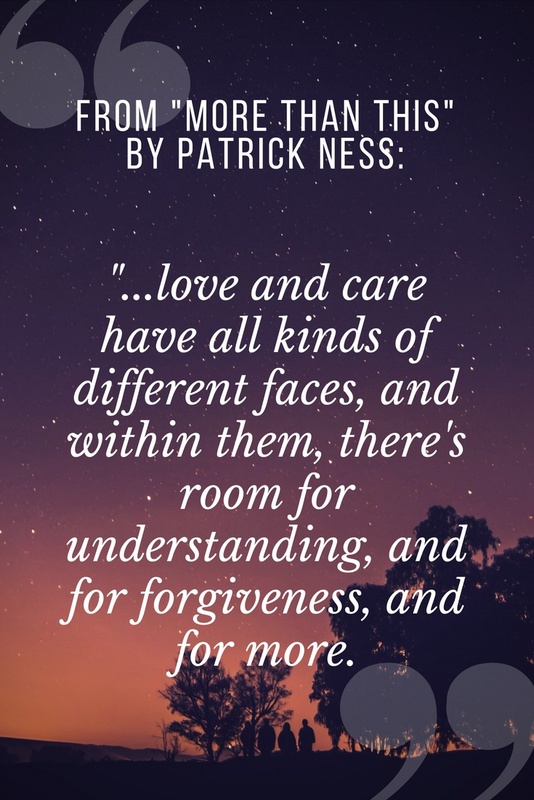 You might even think that the theme—the underlying story, if you will—is that we all need to recognize that there’s more to this life than what we think there is. If you read this book and thought any one of those things, you would be right…in a way. 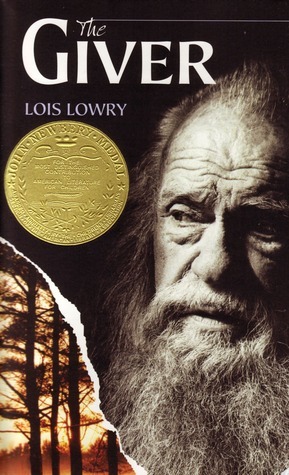 It’s a book that some would say is slow-moving and simplistic, the story of a teenage boy who wakes up in a place he’s not supposed to be who strives to make sense of his environment. But you don’t have to think about it much to realize that its message is more than that, a deep message about life. What Is More Than This About? Seth drowns, desperate and alone. But then he wakes. Naked, thirsty, starving. But alive. And where is he? The street seems familiar, but everything is abandoned, overgrown, covered in dust. He remembers dying, his skull bashed against the rocks. Has he woken up in his own personal hell? 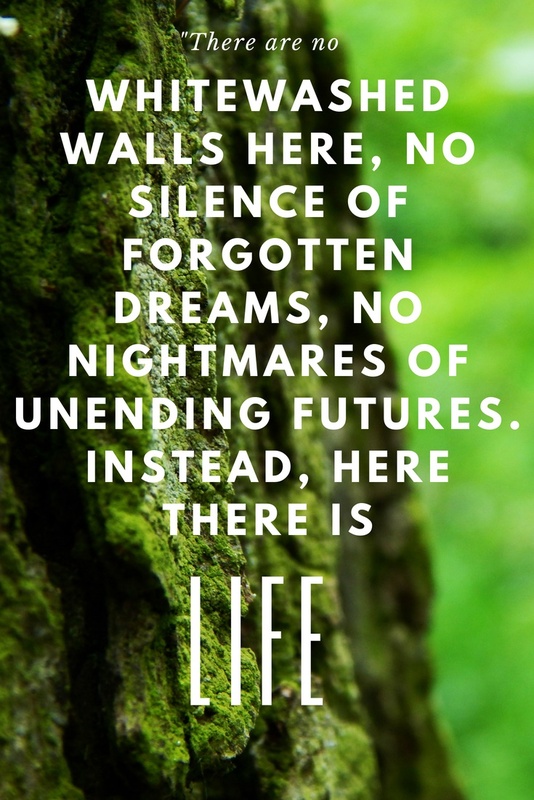 Is there more to this life, or perhaps this afterlife? Who Would Like More Than This, And Why? Anyone who likes good writing, the kind that sweeps you along like a gust of summer wind, the kind found in books like The Giver by Lois Lowry or If I Stay by Gayle Forman, will like More Than This. 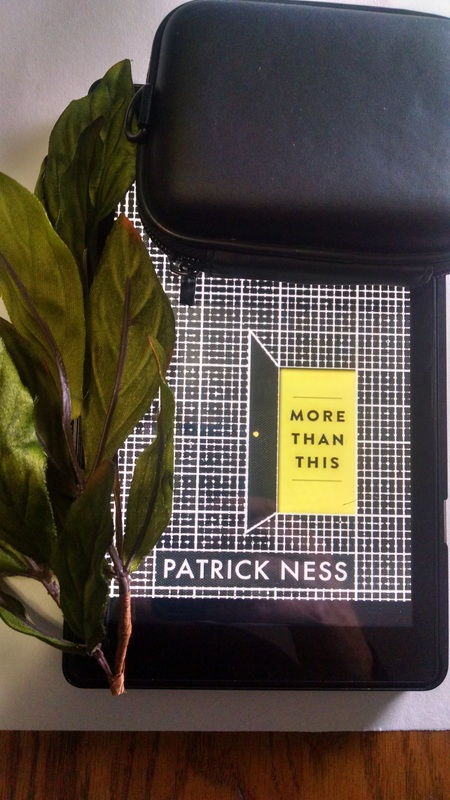 If you’ve read The Knife of Never Letting Go, also by Patrick Ness, you’ll probably like More Than This too, although it’s a different kind of book. Know that there are sci-fi-ish elements like those in Ready Player One by Earnest Cline, and dystopian elements like in Nemesis by Brendan Reichs. I can’t tell you what they are because that would give away a good portion of the plot. 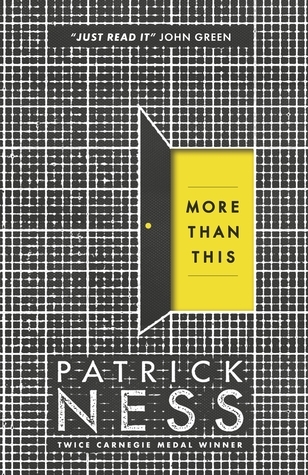 You can get a used copy of More Than This through Thriftbooks.com for $4.89. How was your 4th of July? What did you do? We went to two family gatherings, one for my side of the family and one for my husband’s, and ate a ton at both. I feel like it was a mini-Thanksgiving. 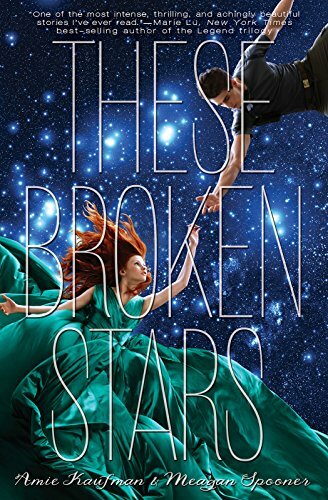 Of course, I spent a little bit of time reading and looking for deals, and I wanted to tell you about a book that just came out that’s only 99¢! 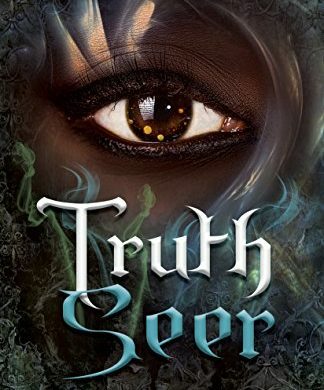 It’s Truth Seer by Kay L. Moody, kind of Lara Croft: Tomb Raider with superpowers. Egypt, 2121. Imara Kalu knows how she wants her future to go: become a police interrogator in Kenya and then graduate as a truth seer in her last semester of the summer training program. But her plans fall apart when a group of terrorists take over the school and carry out a desperate kidnapping. 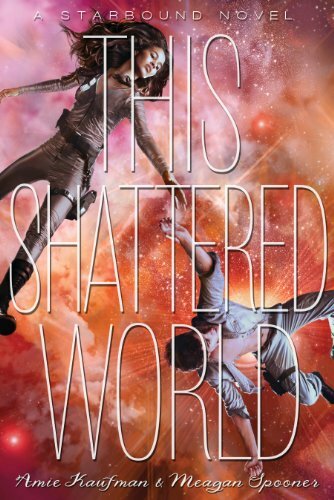 Devastated that her sister is among the victims, Imara leads a rescue team and descends into the dangerous catacombs where the hostages are rumored to be hidden. Although suspicious of others because of the truth she sees, Imara knows the rescue team will need her help as a truth seer to bypass the lethal illusions laid by the abductors. But as the terrorist traps escalate, Imara realizes how much truth she’s been ignoring and that holding back could get her sister killed. Throughout the journey, Imara confronts her past and amplifies her abilities as a truth seer only to discover that her sister’s kidnapping is just one piece of a much darker secret. Who Would Like Truth Seer, And Why? 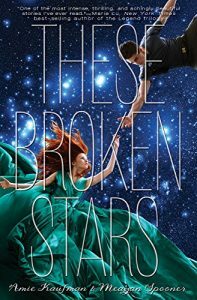 Aside from the Lara Croft movie, like I said, Truth Seer reminded me of two books: Unearthed by Amie Kaufman and Meagan Spooner, which I reviewed here, and The Conspiracy of Us by Maggie Hall, which I’m reading right now. All three are about people trying to work their way through a series of very obtuse clues to discover a mysterious but great boon in some kind of ancient structure or structures. In Unearthed, it’s a temple on an alien planet. In Conspiracy, which is sort of a YA Davinci Code, it’s places like the Cathedral of Notre Dame. In Truth Seer, it’s a catacomb in future Egypt. Imara, the main character, can see people’s emotions, an ability that she hopes will help her find and rescue her sister from kidnappers but which also affects the dynamics between her and the other people who help her explore the catacombs. This book is adventure, emotion, and intrigue. I had a little bit of a hard time connecting with Imara, but can’t put my finger on why. 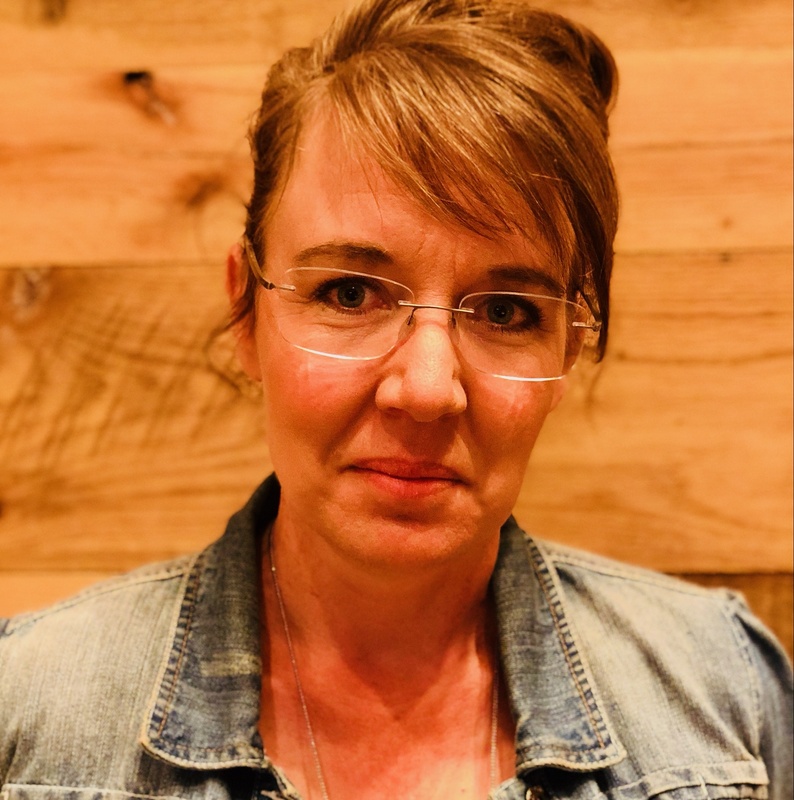 I’ve got an exclusive interview with Kay Moody, the author, coming out tomorrow to all my subscribers. If you haven’t subscribed to be sent newsletters and notification of new posts, you should do so now, on the right sidebar of my main page! Whew! My site was down temporarily, and I was stressing out! My apologies. My domain hosting company had somehow put my site on a different server, connected to a different account, but the problem has been fixed. I spent the time scouting for deals, though, because I get excited thinking about bringing them to you and helping you get better entertainment for less! I’ve got some good sales to tell you about tomorrow. 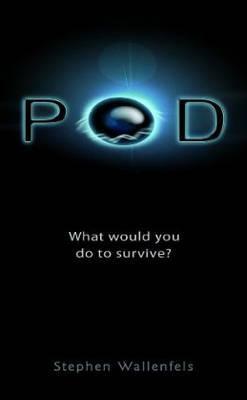 In the meantime, let me tell you about POD by Stephen Wallenfels, a YA sci-fi. It was a tight read, one that’ll have you chewing your nails even if you’re not a nail-chewer. Surviving a massive alien siege is one thing-surviving humanity is another. I’m all cried out. I’m still alone. The sky is full of giant spinning black balls that kill anyone stupid enough to go outside. I’ve only been out of the car twice-once to pee and once to look at the sky. That one look was enough for me. Now I sit alone in the car, staring out the window like a rat in a cage. But I don’t have anyone to look at. The parking garage is empty, except for twisted-up cars, broken glass, and the smell of leaking gasoline. Who Would Like POD, And Why? If you like tight plots, like those found in Glimmer by Phoebe Katanidis or A Thousand Pieces of You by Claudia Gray, you’ll like POD. Its plot, which could’ve been boring in the wrong hands, since it’s about enduring an alien siege, is terse, interesting, and mentally challenging because of the intense emotions expertly shown. You’ll find yourself wanting a sequel. On Amazon, you can get a new paperback copy right now for $6.39, which is 20% off of the normal price. 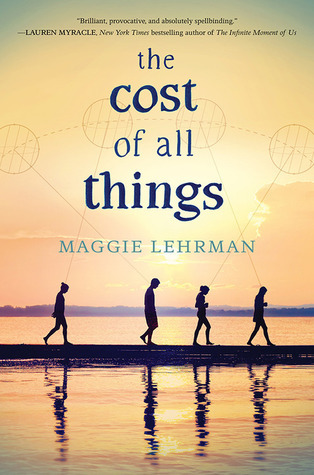 A Kindle copy is only $4.99! Dude! So worth it.